The scientific term “xiphoid” was derived from the Greek word “Xiphos (straight sword),”. This is what best describes the extension’s thin and pointed shape. Metasternum usually ranges in size and is generally considered to be the lowest and tiniest part of the breastbone. The ensiform cartilage may undergo several morphological (structural) variations. Most of these variations are inherited. However, its important to note that these variations do not alter how the extension works in the body. The tip of the xiphoid cartilage can be seen and felt as a distinct lump. That, develops below the sternal notch both in newborns and young infants. After the age of 15, the xiphoid process makes use of a specific fibrous joint(1) to fuse directly to the body of the breastbone (sternum). It is not until the age of 40 that the xiphoid cartilage undergoes complete ossification (fully turning into bone). This extension then becomes a hard and fully ossified structure. The ossification of the metasternum is often presented as a lump. This lump is often considered to be a harmful cancerous tumor. This is a popular misconception that is never true. This is a dome-shaped muscular partition that plays a major role in inspiration (the process through which humans breathe). This type of body muscle keeps all the organs found in the abdomen including intestines intact. The Rectus abdominis(2) actively facilitates normal respiratory patterns (regular breathing movements). While also offering reliable support to the spinal muscles. Particularly during strenuous day to day activities. The xiphoid cartilage actively protects the growing organs underlying it including the heart and oesophagus during childhood due to its highly flexible nature. CPR is an emergency procedure that is carried out on patients whose heartbeats and breathing suddenly stop due to various reasons. Great caution should however always be exercised while carrying out this procedure. As exerting pressure directly on the xiphoid cartilage is likely to separate the extension from the sternum. This may end up causing internal bleeding and puncturing both the liver and diaphragm. Xiphoid cartilage breakage is a very serious condition that may even require immediate surgery. The puncturing of the liver is also likely to result in lethal haemorrhaging. Xiphoidalgia, which may also be referred to as “xiphodynia,” is a rare, yet painful syndrome. That is usually characterized by the localized swelling, tenderness and inflammation of the metasternum. Pain that radiates to the shoulders, neck, and back, chest soreness, nausea and abdominal discomfort are other common symptoms of this disorder. The sharp, deep pain that is experienced during xiphoidalgia usually worsens when the xiphisternum is pressed. It is, however, important to note that this pain is self-limiting in nature. Hence; is likely to go away on its own after some time. Overeating and specific movements. These include twisting, bending and stooping that directly or indirectly involve the metasternum. Should be avoided by people suffering from xiphodynia. This is because such activities are likely to aggravate the pain even further. Corticosteroid injections and analgesics can also be administered to treat this condition. Xiphoidalgia sufferers are also encouraged to wear elastic rib belts to effectively remedy their condition. It may be necessary to get rid of the metasternum especially when it ends up causing unbearable pain and other health problems after it has been broken or damaged. 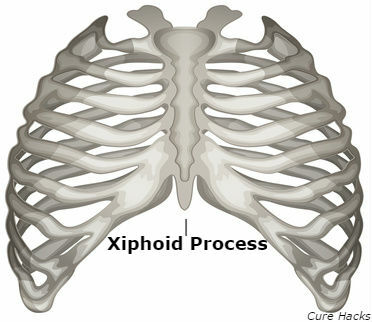 There are various surgical procedures that are used to remove the xiphoid process. People with a damaged ensiform cartilage are advised to always consult a reputable Cardio-thoracic surgeon who will help them decide on the type of surgery that is likely to work best for them. Xiphoidectomy, which is a complex surgical process that can only be performed by experts, should only be used as a last option (after all the available treatments have failed). 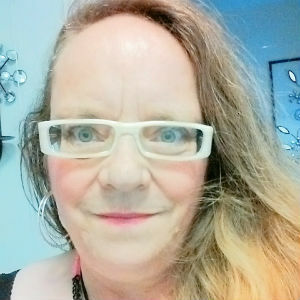 Turn Back the Clock: How Can You Feel Younger?